Profession of teacher and mentor is highly respected in Uzbekistan. Upbringing younger generation is a hard work, that is why being a teacher is considered to be an honorable title. Various activities are held on Teachers' Day. 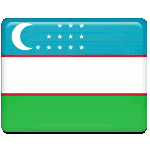 President of Uzbekistan annually issues a presidential decree to award outstanding teachers with memorial prizes and cash awards. Graduates usually organize annual meetings on this day to gather together and congratulate their teachers and express words of gratitude for their hard work. All governmental and public institutions are closed on this day, students and teachers have an additional day off. Students usually organize concerts, performances and other festive activities for their teachers on the eve of Teachers' Day.